Congratulations to all of those who completed their final race for the season last weekend. Hopefully this year has brought you progress and personal bests or at least shown you that your limits are not where you thought they were. For many there is still at least one race left before they can take a (short) well-earned rest or unstructured training. With fading light it’s important to make sure that we don’t court injury so this week we will again be using Riverside Park in Woodbridge for our run intervals. The even, paved surface allows for a reliable footfall even in dark conditions. Meet at the start of the path near the corner of the playground for a 6pm start. If you have a head-lamp or small handheld torch it would be advisable to bring it along with something warm to wear when you are finished. 6:45pm for a 7pm start. 37 Brunswick Bend, Jane Brook. Total session time around 1hr finishing with a 5-10min run off the bike to get used to the sensation. BYO turbo trainer and bike, limited additional trainers are available, please contact us to reserve one for you. 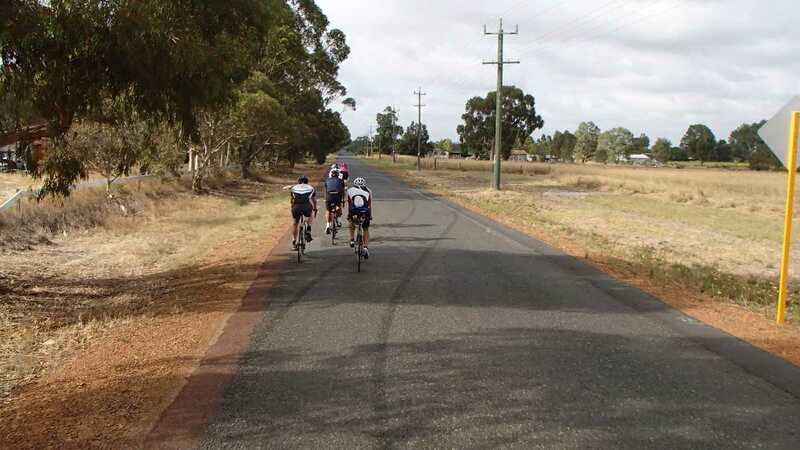 Meet at Yahava Coffee car park in the Swan Valley at 7am for a tour around the valley. As always the rule is that nobody will be left behind so bring your TT, road or mountain bike and complete as many or as few laps as you feel inclined. The group ride is meant to be an easy session, it’s not a race and if it were it would be one of those ones where everyone gets a prize and results aren’t recorded. Bring cash or card for coffee and/or breakfast afterwards if you wish.